Optional Single Supplement: $1055 USD (number of singles limited). 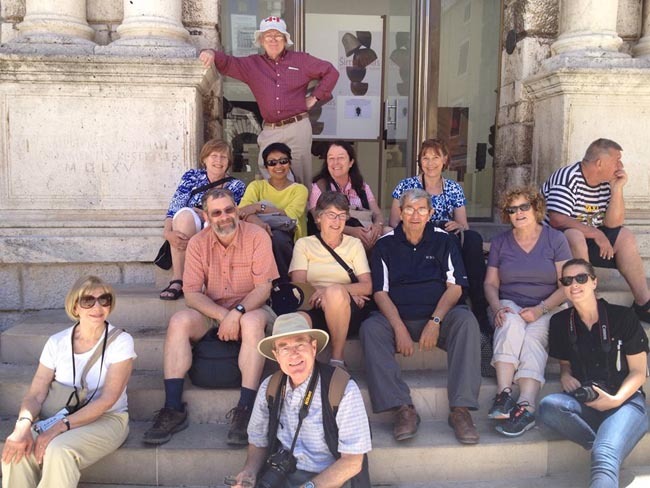 Our Balkan Explorer Tour is a a very special tour designed by one of our senior Tour Leaders. We will visit seven Balkan countries in this 19-day adventure: Serbia, Kosovo, Macedonia, Albania, Montenegro, Croatia and Bosnia & Herzegovina. Countries elsewhere on the continent may be too expensive, too crowded and too commercialized. 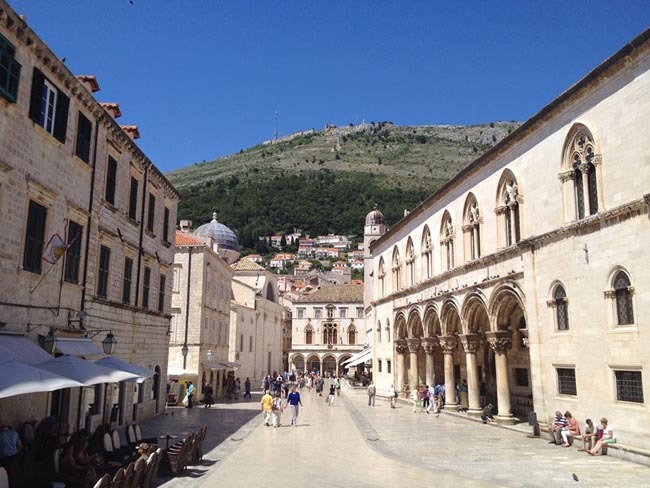 Today, the Western Balkans are authentic and accessible regions, where sidewalk cafes line cobblestone alleys and mediaeval castles loom over historic town centres. An ethnically complex corner of the world where Catholic churches, Orthodox monasteries and Ottoman mosques share territory, the Balkans offer a true adventure to one of the less-travelled parts of the world. I enjoyed all excursions. Branko, our tour leader, was very experienced and competent. Branko(pronunciation of Brede)was professional, knowledgeable, courteous, attentive and exceptionally approachable. Would have no hesitation in travelling with him again. Fully met expectations. I enjoyed the commentaries on recent history and the current political situations of the various nations. 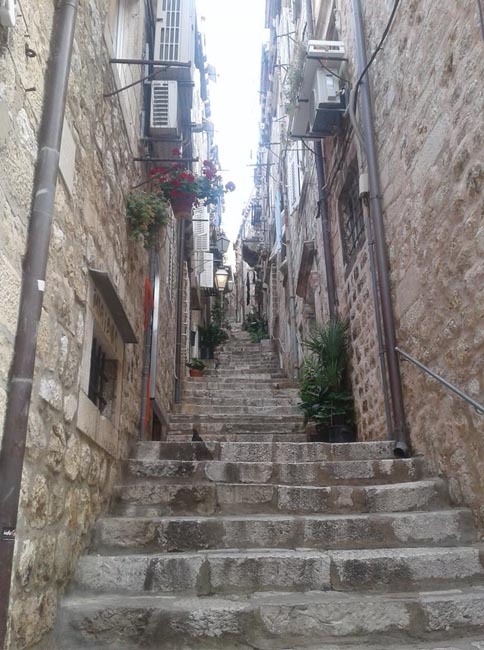 Liked the medieval city centers, the Adriatic Coast. Excellent guides. They were passionate and informative. Bus was perfect size for the group. The tour was very enjoyable and we will travel again with AA. The tour leader knows the area, geography, architecture, and most importantly, in this part of the world, the history and political background of the countries. This is MOST IMPORTANT for travelers in this region!Since he was born and raised in the region and has experienced some of the war-torn events, he was able to provide insights that otherwise would not have been available. EXCELLENT! Today we arrive in Belgrade, Serbia. Our adventure through the Balkans starts at the heart of the region, Belgrade, the capital city of Serbia since 1403. 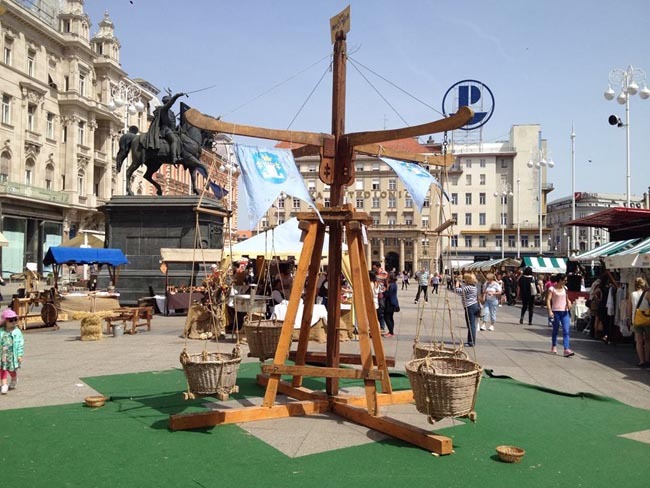 Here we find a beautiful medieval city competing amongst the most charming cities in Eastern Europe. 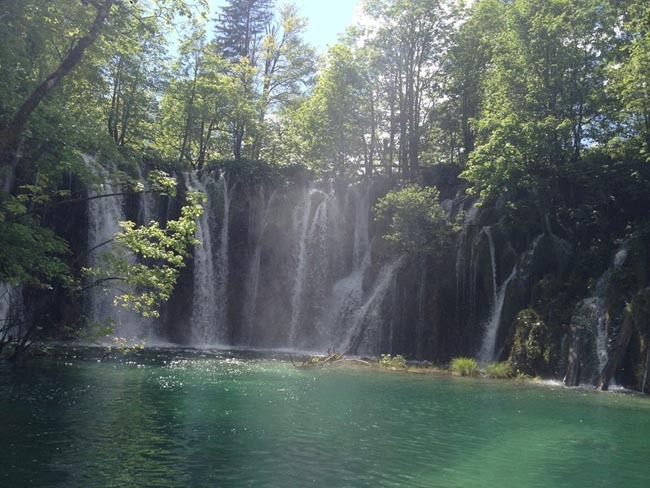 The Balkans comprise a remarkably complex region, as well as fascinating, diverse and, of course, incredibly beautiful. Often referred to as Southeastern Europe, the Balkans take their name from a Turkish word meaning "a chain of wooded mountains". We will start our day with a panoramic drive around this city in order to see some of the main points of interest. Two of the many important buildings and monuments that we will see include the St. Sava Church and the Belgrade Palace. Upon our return to the city center we will continue to explore this city on foot. 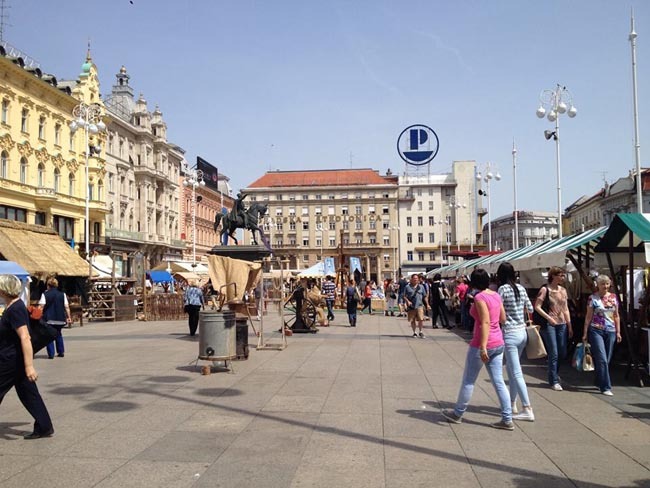 The walking portion of our tour will start near the Republic Square. This is the main city square which features both the National Theatre and the National Museum. This popular meeting point for Belgraders was once the location of the infamous Stambol Gate, which was the main entrance to the Belgrade fortress. Nearby is Skadarlija Skadarska Street, a vintage street dating from the late 19th century. Once a Gypsy Quarter, today this steep cobbled area has quite a bohemian feel. A wander along Knez Mihailova, the main promenade and pedestrian area in the city give us a real look at this famous shopping street, adorned with buildings and mansions erected in the late 19th century. We will see the historic 19th century Princess Ljubica's Residence (now housing a permanent exhibition of original furniture), and will stroll down nearby cobbled Kosancicec Venac Street, which conjures up the spirit of Old Belgrade. Of course no tour of Belgrade is complete without a visit to the Belgrade fortress and Kalemegdan Park area, located on a hill overlooking the confluence of the Sava River and the Danube. The Romans were the first to build a fort on this site. 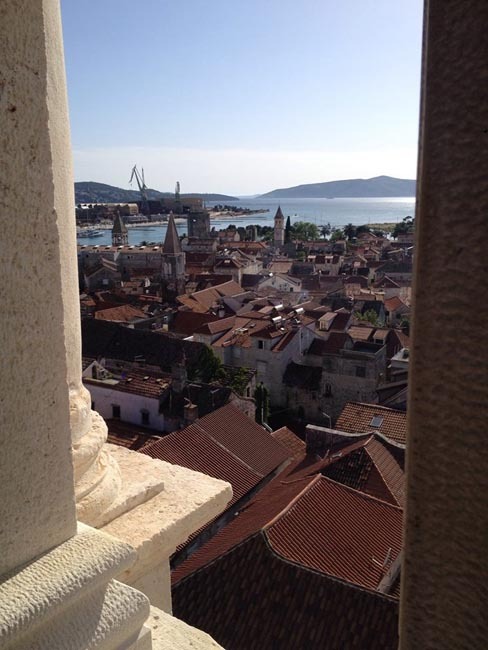 Here we will see the well-preserved fortress ramparts, gateways, and towers of the Upper Town. The Lower Town on the banks of the Danube was the main city center in the Middle Ages, surrounded by walls and providing access to the port. Today we travel from Belgrade to Novi Pazar. The terrain of Serbia is extremely varied; to the north, rich fertile plains; to the east, limestone ranges and basins; to the southeast, ancient mountains and hills. The journey south to Kraljevo brings us to the Raska region. This part of Serbia has a significant population of Muslims -- they are Slavs rather than Albanians, in contrast to neighboring Kosovo. The appearance of minarets on the skyline is the most immediately visible difference compared to the rest of Serbia. This route takes use through the lovely Ibar Valley. We will pay a visit to the 13th century Zica Monastery, which is located nearby Kraljevo. 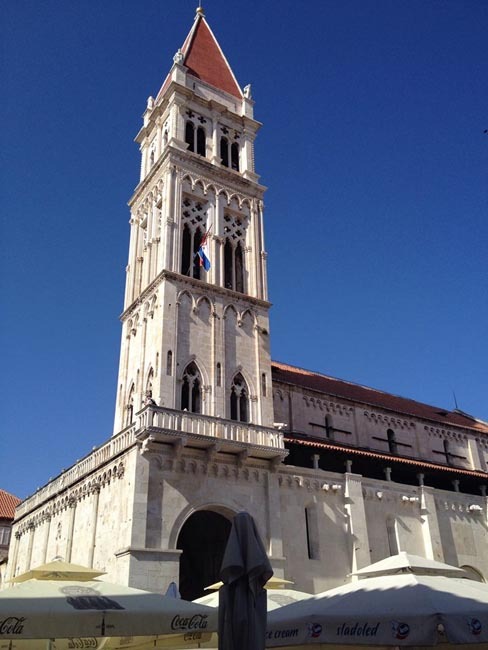 Founded by King Stephan (the first crowned king), Zica was also the first seat of Serbian diocese, where all the Serbian rulers of the middle ages were crowned. This afternoon we will visit the Studenica Monastery, a UNESCO World Heritage Site and considered to be the crowning achievement of medieval culture and art in Serbia. This is the largest and richest of Serbia's Orthodox monasteries. Its two principal monuments, the Church of the Virgin (1183-1196) and the Church of the King enshrine priceless collections of 13th and 14th century Byzantine painting. Our tour then continues in the afternoon to the Sopocani Monastery (also a UNESCO site), dating from the 13th century. The frescoes of Sopocani have been known as priceless art works of old Serbian painting and represent the highest quality of Byzantine painting. From here we continue to Novi Pazar. Novi Pazar is the largest town in the region, and the oldest and most interesting buildings here are in the old bazaar area south of the Raska River. The Altum Alem Mosque has somehow survived since the 16h century. The town's name means "new market", and its trading tradition continues in a large open-air market to the north of the river. The outskirts of Novi Pazar reveal a pleasant landscape of green fields and orchards. Due to limited hotel options, we may overnight in the nearby ski village of Kopaonik. Today we experience a beautifully scenic drive as we cross from Serbia into Kosovo. Our drive will take us past Kosovska Mitrovica, a symbol of Kosovo's ethnic divisions, before reaching the capital city of Pristina. Kosovo became a nation when its parliament declared independence from Serbia on February 17, 2008. The United States and many European countries have recognized Kosovo's independence, while Serbia and some of its allies, most notably Russia, have denounced the declaration as illegal. Cultures and religions have been clashing here for centuries, ever since the joint Serbian and Albanian force was defeated by the Ottomans in the Battle of Kosovo in 1389. But, between times of great unrest, this landlocked country has seen long periods of peaceful coexistence and mutual cultural enrichment. While the predominantly Muslim Albanians dominate the population, and Serbs, mostly Orthodox Christians, come second, there is a plethora of other smaller groups displaying unique cultures and ways of life. In the 1990s poor economic policies, international sanctions, limited access to trade and finance, and ethnic conflict severely damaged Kosovo's economy, and it now has one of the poorest economies in Europe. 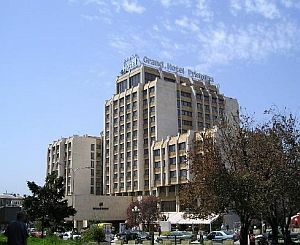 Pristina is located at the northeast edge of the Kosovo plain in the centre of Kosovo. It is on the route between the Former Yugoslav Republic of Macedonia (FYROM) and Serbia proper. This is the economic, cultural, political, and administrative centre of Kosovo. This afternoon we will enjoy a sightseeing tour of Pristina, and will stroll along its streets and the main square located right in the heart of the town. One of Pristina's liveliest areas is without a doubt the large bazaar. With the bustling atmosphere typical of all Balkan markets, one can find all varieties of goods here for sale. We will see the 19th century Ottoman clock tower nearby to the bazaar. Opposite the clock tower is the Fatih or Imperial Mosque, built in 1461 under Turkish Sultan Mehmet II Fatih ('the conqueror'). The Carshia Mosque (Xhamia e Carshise) or 'market mosque' is Pristina's oldest building, constructed in the 15th century. We will take some time to enjoy the Ethnographic Museum. Located in a lovely traditional 18th century house, this is one of the only original buildings left in the old bazaar area. A short drive into the countryside just a few kilometers south of Pristina will bring us to the town of Gracanica, home to the Gracanica Monastery, perhaps Kosovo's greatest religious monument. Completed in 1321 and built by the legendary king of Serbia, Milutin Nemanjic, the Serbian Orthodox monastery church represents the height of Serbian Byzantine tradition. (If time does not allow for this visit today then your tour leader may opt to move this sightseeing to tomorrow morning). This morning we will travel south to the historical city of Prizren. Prizren is a true open-air museum and is considered by many to be one of the most beautiful towns of Kosovo. Situated on the slopes of the Sharr Mountains and on the banks of the river Bistrica, this town is known for its wonderfully preserved architectural heritage. One can see lovely dwelling quarters, houses with balconies facing gardens full of foliage, and narrow, winding streets cutting through the town. The large Sinan Pasha Mosque dating from 1561 dominates the small city center. As we wander around the town we will see many examples of 18th and 19th century Ottoman houses; which have nearly all disappeared in Pristina. The small cobbled Shadervan Square is home to several cafés. Upstream is the attractive arched 15th century Ottoman bridge. Behind the mosque, the road climbs up past a neighborhood of destroyed Serb houses, and the small, preserved 14th century Saint Saviour church. At the top of the road is the 11th century Kaljaja Fortress with its upper and lower town. Back in town and on the other side of the river is the beautiful 15th century Gazi Mehmed Pasha Hamam. This is a wellpreserved 15th century bathhouse complex (closed for visitors). Across the road stands the lone minaret of the Arasta Mosque that was destroyed in 1963. A short walk north of the hamam stands the 12th century Orthodox Cathedral Church of the Virgin of Leviša, placed on UNESCO's List of World Heritage in Danger in 2006, and home to many beautiful medieval frescoes. Later in the day we enjoy a stunning drive as we cross from Kosovo to the historical country of Macedonia and drive to the capital city, Skopje. The landlocked and mostly mountainous country of Macedonia, in southeastern Europe, proclaimed independence from Yugoslavia in September 1991. Macedonia's mountainous landscape is right at the heart of the Balkans, sprinkled with beautiful valleys and lakes, with a rich Hellenic heritage. Its churches and mosques contain many fine examples of art and architecture from the Byzantine and Ottoman periods. The city of Skopje was once located at the far north reaches of the Byzantine Empire, and the name of the city itself reflects its geographic location and role within the empire, as the word Skopia translates to watch-tower / lookout / observation point. Skopje is not only the capital but also the largest city in the Republic of Macedonia. Located in a valley on both sides of River Vardar, Skopje traces its ancient history back over 2000 years to when it was known as Skupi. This region has been ruled at various times by ancient Rome, Byzantium, the First Bulgarion Empire and the Ottoman Turks. The Skopje Old Bazaar emerged and developed in an area between the Stone Bridge and the Bazaar, and between the Kale fortress and the Serava River. As early as in late middle age, all economic activity of the town took place here. In the period between the 16th and 17th century, the Old Bazaar reached its urban and economic zenith, developing into one of the largest and most significant oriental old bazaars in the Balkans. Today the Old Bazaar abounds in cultural and historic monuments. 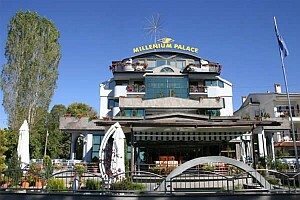 During our walk we will be sure to visit the Museum of the Old Skopje Bazaar. Located on the 1st floor of a 15th century inn, this small museum is an essential stop for insight into Skopje's historical importance. Other notable Ottoman monuments we will see today include the Mustapha Pasha Mosque, a marvel of Ottoman architecture towering above the old bazaar area, and the Daut Pasha Hamam (bath) considered a masterpiece of 15th century Islamic civil architecture. Today we travel to Lake Ohrid. Our route will take us past Lake Matka and Tetovo. 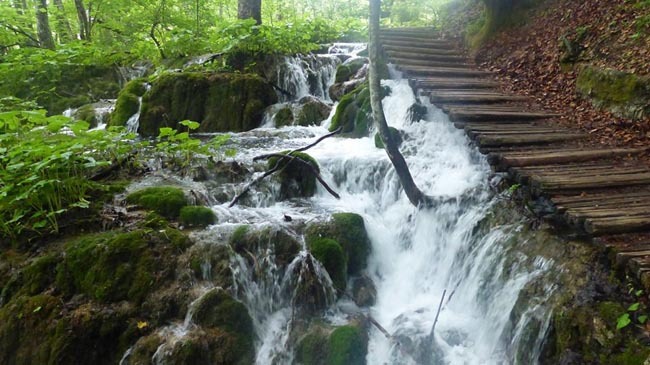 We will also cross the National Park of Mavrovo with its majestic lake, river, gorges and waterfalls. In Tetovo we will stop to visit the Painted Mosque located by the Pena River. The ‘Painted Mosque’ was constructed in 1459 on the foundation of an older edifice. An example of early Constantinople style, this mosque is adorned with an elaborate painted facade and interior, making it unique in Macedonia. 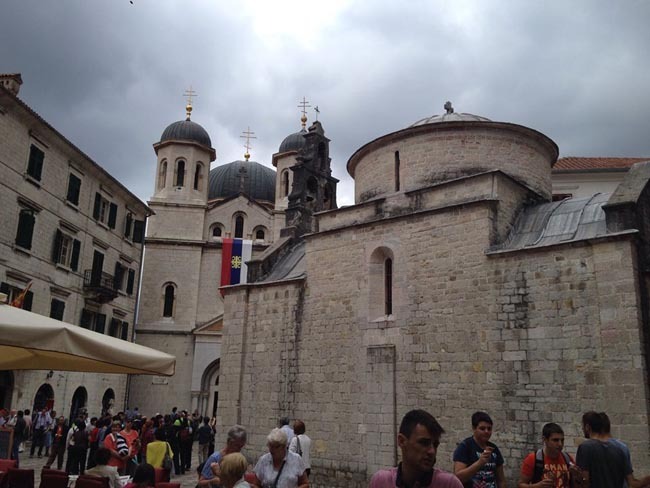 In the turbe next to the mosque is the body of the two women who provided money for the mosque to be built in 1459. Ohrid is a beautiful little town on the Balkan Peninsula and is the pride of Macedonia. With its historic town centre and stunning Lake vistas, this place really is a gem. For Orthodox Macedonians it is the spiritual heart of their country and a focus of nationalistic pride. 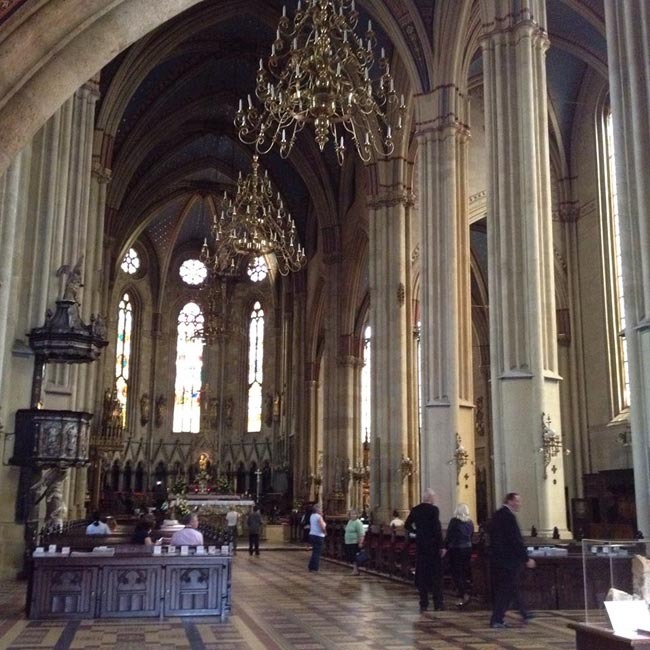 It was here that Sts Clement and Naum in the 9th century founded the first Slavic university. The charming town of Ohrid is one of the oldest towns in Europe. This UNESCO Heritage Site was originally known as Lychnicdos back in 353 B.C.E but was renamed to Ohrid in 879 C.E. Here one can find many monuments, churches, as well as many buildings built in traditional 'Ohrid' architecture. This morning we will drive around Like Ohrid and continue into Albania. Albania, situated between West and East Europe, is a land of fascinating Ottoman cities, Roman ruins, magnificent mountain scenery and charming villages. Remnants of ancient civilizations are spread throughout the country, revealing the complex history. Once infamous for its isolation, Albania is one of the smallest as well as the poorest countries of Europe. Today this is a country that is slowly making the transition to open-market economy and moving on the road to progress. In the heart of the Mediterranean, on the Adriatic and Ionian Seas, Albania is soon to become one of Europe's most interesting getaways. Still relatively unspoiled by globalization, you will notice an inspiring mixture of civilizations and cultures, making this country truly unique. Our destination for today is Berat, known as a "city of one thousand windows", and has been declared a "museum city" and UNESCO protected site. A highlight of any trip to Albania, Berat is one of the country's most beautiful towns. The old name of the city was Antipatrea, built on the slopes of mountain Timori, with a castle dominating over the city. Within the city walls there are houses and the Onufri Museum, where we see paintings by this outstanding painter from the 16th century, as well as paintings from his son Nikolla. We will spend most of our time touring in the old part of the town. This is perhaps one of the best-preserved Ottoman cities in the Balkans, with a lively lower town and a beautiful medieval citadel district on top of the hill. One of Berat's highlights is a visit to the inhabited citadel. Once inside the walls, we can visit ruined mosques and several medieval Orthodox churches, all intact and with restored frescoes and icons. The famous Onufri museum is housed in a wonderful church and holds the best collection of Albanian icons. In the lower town we will see the Leaded Mosque, so named for the roofing material, the Bachelor's Mosque, the Sultan's Mosque and the Ottoman han (inn). 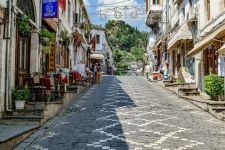 Today we will drive from Berat to Durres (formerly Durrazzo), Albania's second largest city and one of its oldest towns. 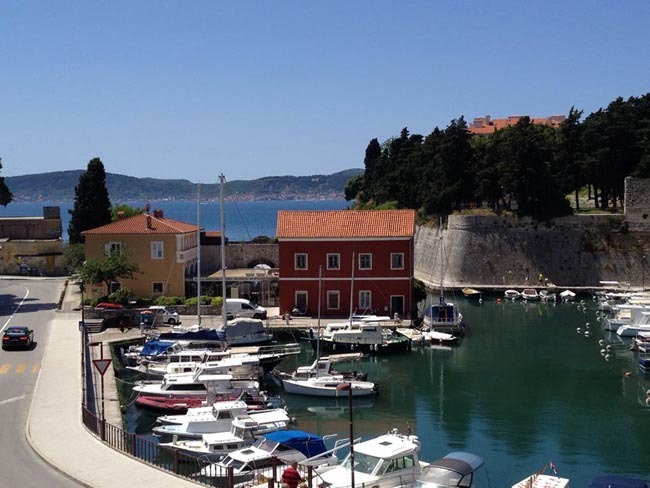 Legend has it that Durrazzo was founded by the Illyrian King, Epidamnos, who called it by his own name and named the port after his grandson, Dyrrah. It was for centuries the largest port on the Adriatic and got back into world highlights when in 1939, the Italian troops met brief but fierce resistance, and those killed defending it are now regarded as the first martyrs of the War of National Liberation. Our visit to Durres will include the archaeological museum and the Roman amphitheatre. The amphitheatre is the largest in the Balkans and located in the city close to the harbour. This 1st century construction is currently under consideration for inscription as a UNESCO World Heritage site. We will also walk from the amphitheatre over to the ruins of the Roman Baths located behind the Aleksander Moisiu Theatre on the central square. We then continue our day by driving on to the capital city of Tirana. This capital city enjoys a beautiful setting between the Dajti mountain range on one side and the coastal plains on the other one. A relatively new city, Tirana was founded in 1614 by the feudal lord Sulejmen Pashe Bargjini. In 1920 the city was proclaimed the capital. However, the area has been inhabited as early back as the Neolithic period. Our sightseeing visit here will include a drive and walk along the Boulevard of the Martyrs as most of Tirana's most significant buildings are concentrated along this thoroughfare. The Skanderbeg Square in the centre of the town, named in honor of the national hero responsible for defeating the Ottomans. We will also see the old Mosque of Et'hem Bey dating from 1794. This is one of the best sights in Tirana, sitting right on the main square. Another nearby central landmark is the Clock Tower dating from 1822. Our journey today will first bring us to the charming little town of Kruja, perched high on the face of a hill. Kruja was the centre of the 15th century Albanian resistance under Skanderbeg against Ottoman Turks. Here we will visit the museum named after him. The street leading up to the castle is built in the style of a Turkish bazaar. After our time here we will continue to Shkodra, in Illyrian times known as Scodra, one of the oldest cities in Europe and the traditional centre of the Gheg cultural. Shkodra is rich with historical monuments, including the old Illyrian Rozafa Castle and Mesi Bridge. After crossing the border to Montenegro, we will continue on towards the Montenegan coast. 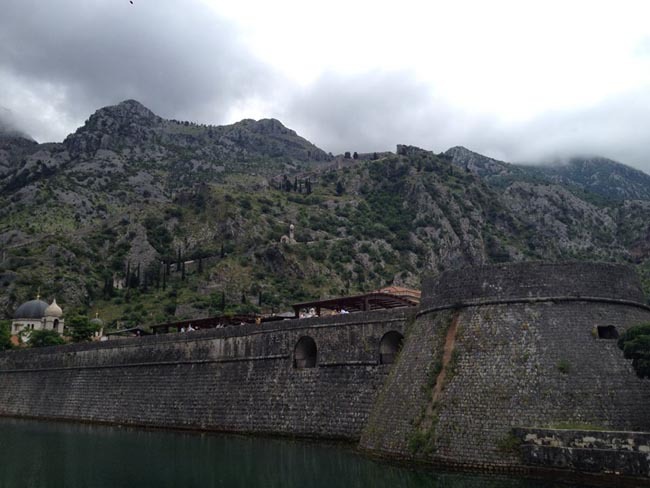 Montenegro packs a lot of scenery into its tiny territory, and our journey will take us alongside the scenic Lake Skadar to the Montenegrin coast to Budva. Budva is a medieval town and is definitely the most attractive tourist location on the Riviera. The old part of the town is fortified with typical architecture of narrow streets and stone buildings placed around the main cathedral. 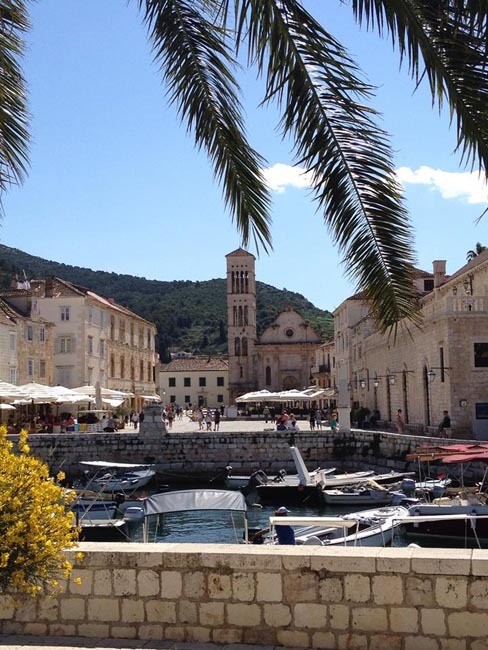 We will start our day with a short walking tour through the small and picturesque old town of Budva. Much of the architecture in the Old Town is of Venetian origin. Doors, hinges, windows, balconies and many other small but noticeable things seem to hold the Roman style of the Republic of Venice. From here we start a scenic drive that will bring us to one of the true highlights of the Adriatic coast -- the Bay of Kotor. Departing from the ancient seafaring town of Perast we will enjoy a short boat ride on the Bay of Kotor. The views of the towering cliffs of the Dinaric Alps from the boat are truly impressive, giving us a different perspective of the Montenegrin coastline. Out in the bay two churches sit on islands so small that the buildings appear poised to float away on the tide. 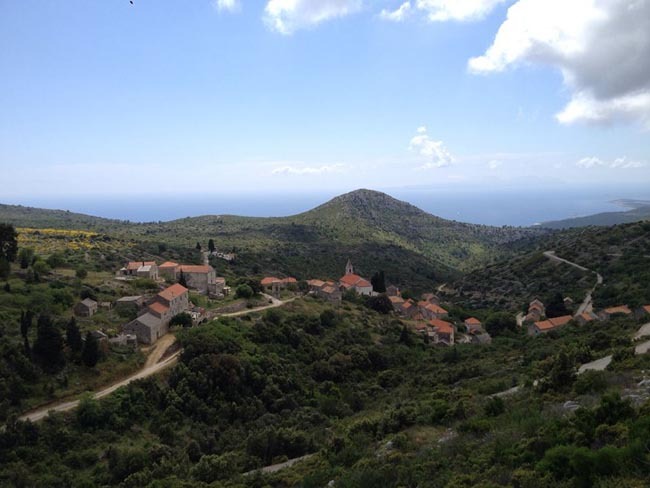 On the natural island of St George is a monastery sheltered by cypress trees. It is here that an artificial island supports the Chapel of Our Lady of the Rocks that we will visit. We then return to Perast by boat. As we continue on our route we will notice that the panorama of Perast is dominated by the 17th century church of St Nikola, protected by a Venetian fortress and surrounded by beautiful palaces and gardens once built by the famous sea captains of the Adriatic. 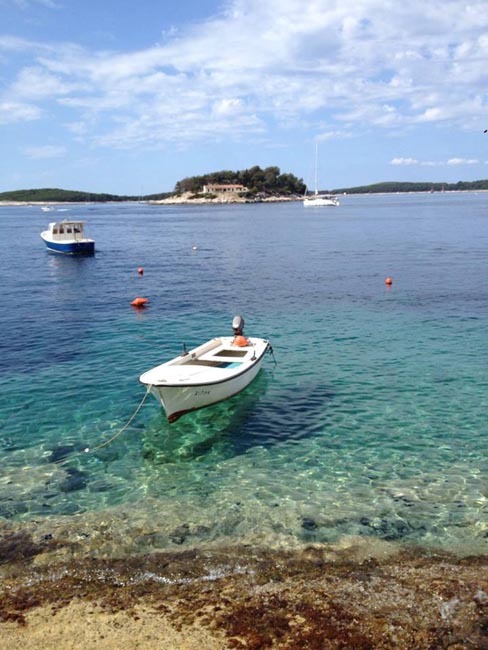 Later in the afternoon we will continue on the spectacular drive to Dubrovnik. Along this route we will witness the beautiful Boka Kotorska Bay and many old fishing villages, churches, monasteries, marinas and beaches. 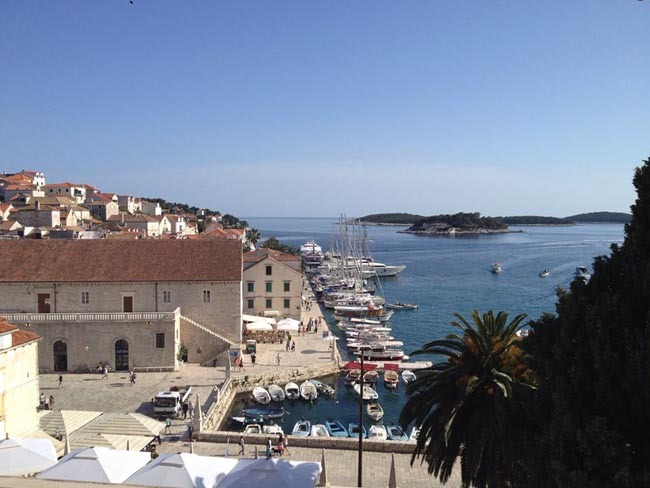 We will cross the border into Croatia before arriving Dubrovnik. 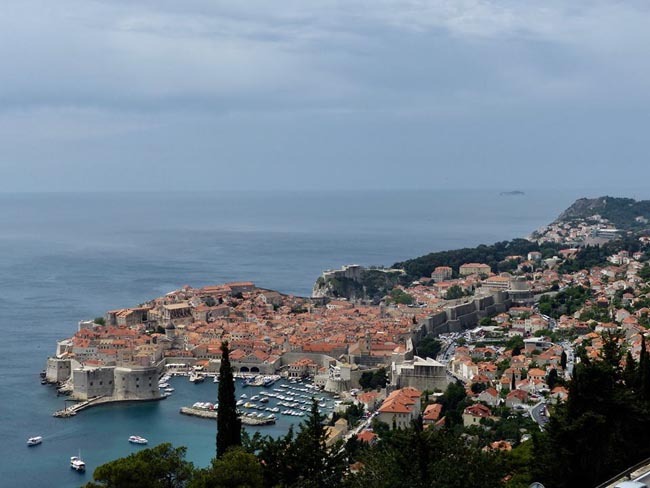 Dubrovnik has been a UNESCO World Heritage Site since 1979, and this morning we will start our day with a walking tour of Dubrovnik's historic center. Often called "Croatian Athens" and the "Pearl of the Mediterranean" Dubrovnik is known for its astounding beauty, sophisticated history and culture, and prosperity. Over the course of it's tumultuous history, the city had to be extensively reconstructed; the earthquake of 1667 destroyed much of the city; and in recent memory, the town was bombarded by over 2000 shells in 1991-2. After great international efforts, the city has been restored to its former glory, with its towering fortifications, magnificent medieval architecture, red tiled roofs, winding paved streets and picturesque harbours. Every corner of this town could tell a story. We may begin our walking tour just outside the Pile Gate, as all motorized vehicles are banned within the city walls. 'Stradun' is the unofficial name for the main street - Placa - that joins the two main entrances to the Old Town at Ploce in the east and Pile in the west. With its shining limestone and uniform baroque buildings that line it, it itself is one of the best known sights of Dubrovnik. Today we will visit the Franciscan Monastery, an absolute delight famous for Europe's first pharmacy and the remnants of old frescoes. 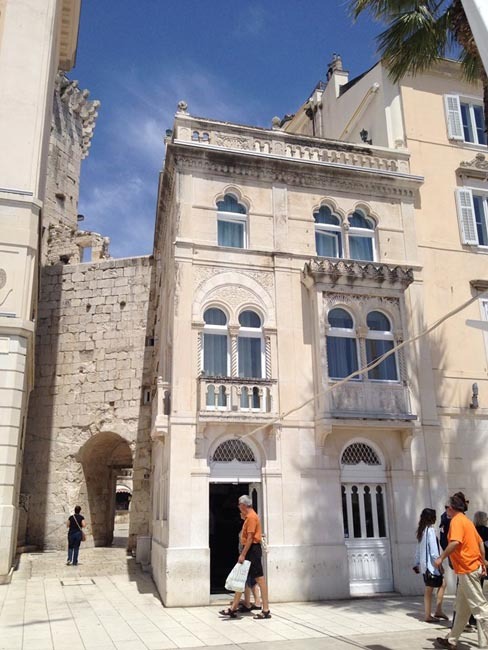 The Rector's Palace is one of the loveliest buildings in the city and is now a museum. The graceful dome of the Cathedral dominates the skyline no matter where you look. 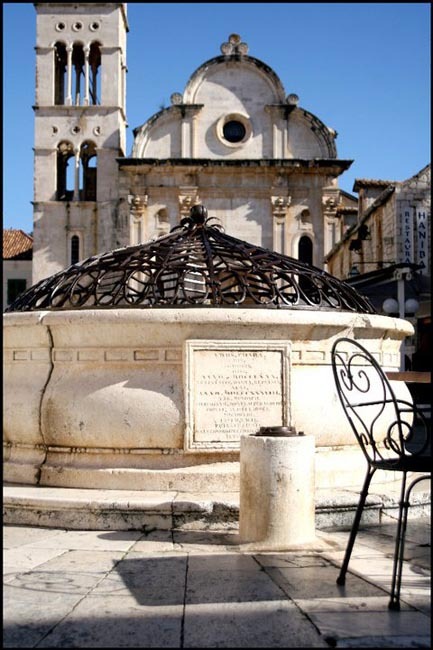 Along our walk we will see many famous landmarks including: Onofrio's fountain, the Clock Tower, Orlando's Column and the Gundulic Square. 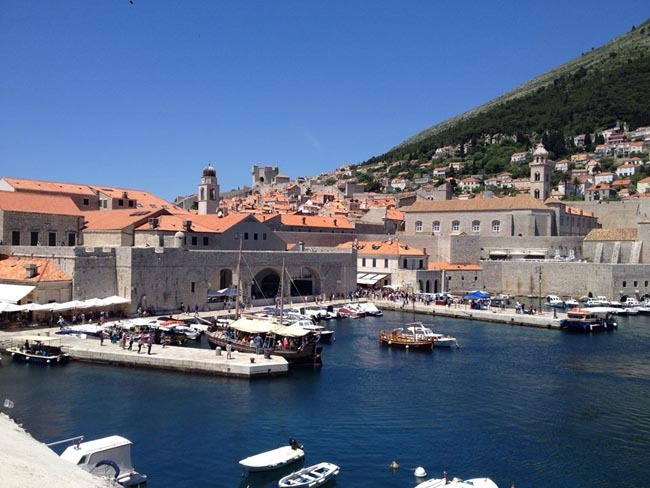 Of course no walking tour of Dubrovnik would be complete without a visit to the city harbour and old port as Dubrovnik owes its very existence to shipping and trade. 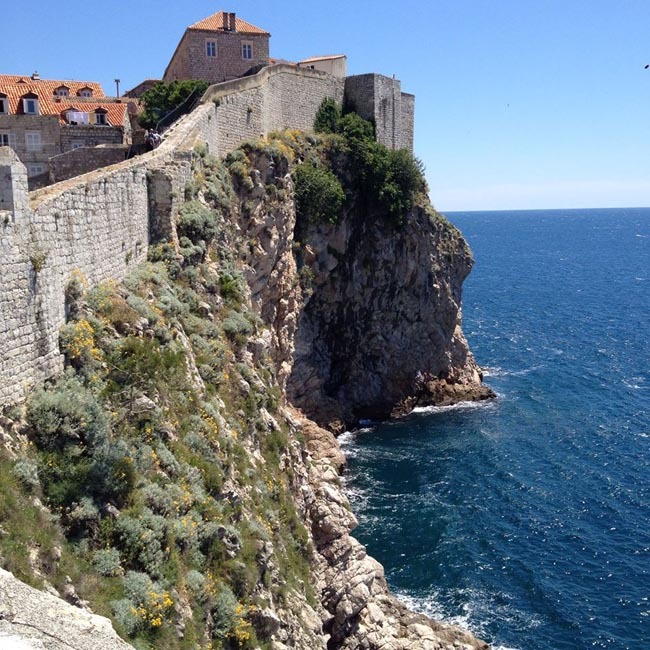 As part of our sightseeing we will also walk along a section of the walls of Dubrovnik, considered by many to be a highlight. The total circuit is nearly 2km / 1.25 mi, and from the bastions you will have magnificent views of the city's monuments, walls and harbours. The walls as they exist in their present form date back to the 15th century. As you walk the ramparts, you will have a postcard perfect view of the various monuments and bastions of the city. 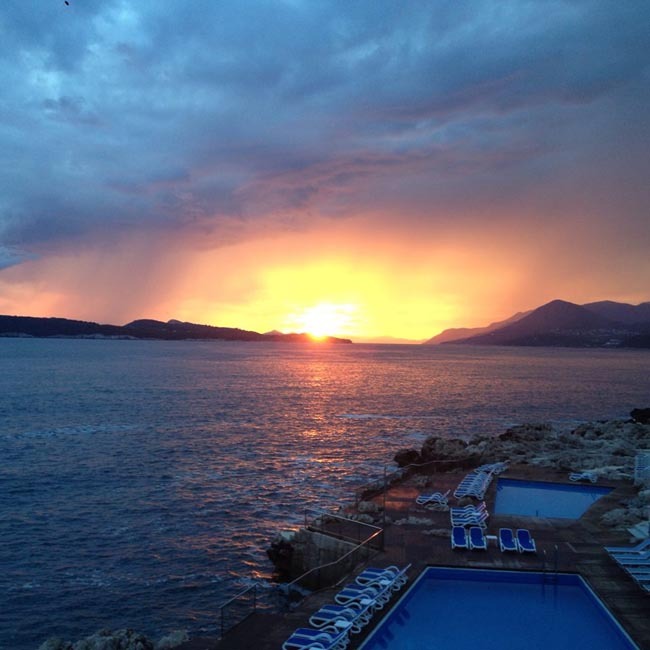 Today will be free for you to explore Dubrovnik on your own. Wander into the heart of the old city and stretch your legs and your imagination. 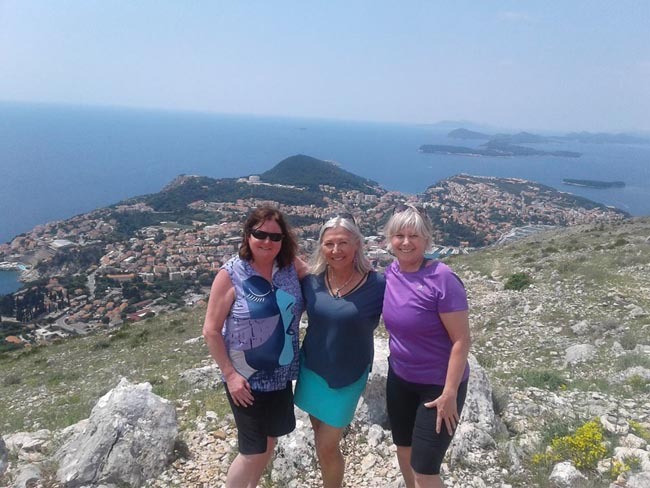 Exploring Dubrovnik on foot is the perfect way to gain a close-up perspective and soak up the atmosphere of this wonderful city. Enjoy this free time to explore the old city independently, and then relax over a drink in one of the local cafés. 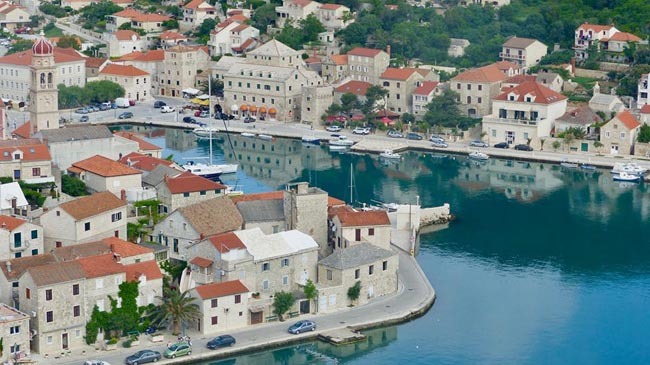 There are many pavement cafés that pepper the quaint boat-lined harbor, and here you can indulge in a little people watching in one of Croatia's prettiest cities. Today we drive inland up the mountains where we cross the border into Bosnia and Herzegovina. We will pass through the picturesque little town of Trebinje, famous for its 'Old Town' and for being the southernmost city in Bosnia and Herzegovina. 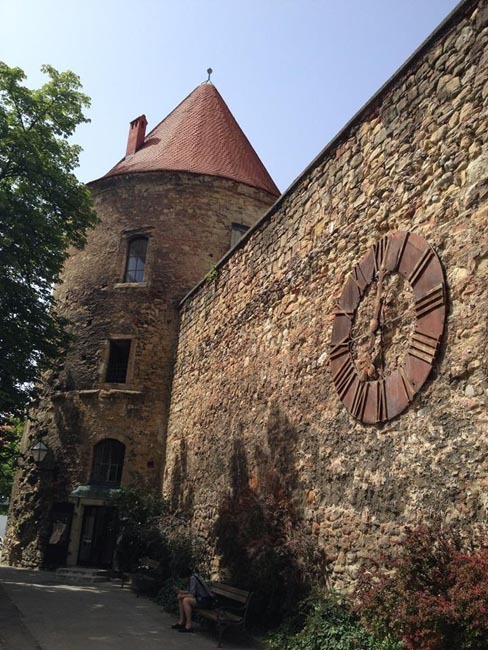 This area is rich with history that dates back to the Middle Ages. We continue the day with a breathtaking drive through the Bosnian Mountains before arriving at Pocitelj. This quaint and unique oriental style town is listed as a UNESCO World Heritage site with its stunning oriental architecture and Ottoman feel. Here one will find the longest operating art colony in southeast Europe. The most striking object in Pocitelj is the Sahat Kula, a silo-shaped fort that towers on the top of the hill above the town. 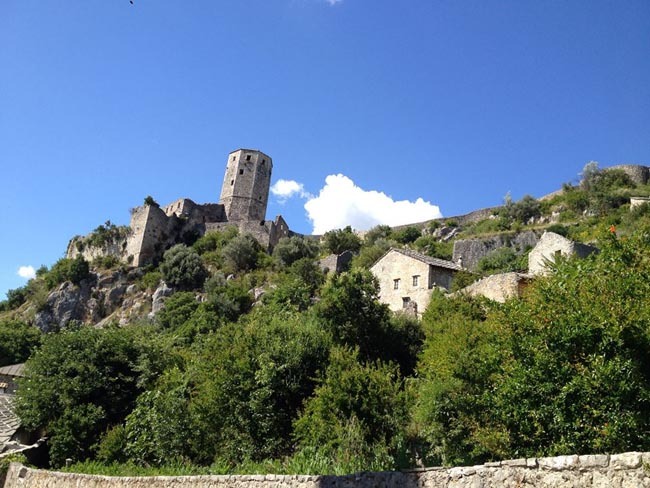 It used to house watchmen and military guarding against possible invasion from the Neretva Valley. We then continue on to the pilgrimage site of Medjugorje. This is a small village and a destination for many pilgrims from all around the world in the last 24 years. In 1981, several of the local children received the messages of Virgin Mary, and since then, this has been a place of "miracles" which draw many believers. We will tour the local church and the area where the miracle is reputed to have taken place. En-route to Mostar we will take a short detour to the nearby village of Blagaj. Blagaj's highlights are the Buna Spring and the adjacent Ottoman house/monastery. The spring here is amazing. It flows out of a 200m cliff wall and single-handedly creates the Buna River. Unsurprisingly, the Ottoman sultan was impressed, and ordered a Tekija to be built right next to it. This 16th century house/monastery was built for the Dervish cults and is still one of the most mystical places in all of Bosnia and Herzegovina. Blagaj's Old Town is worth taking a walk through. This lazy Herzegovinan town moves at a slow pace and many of its old structures are reminiscent of Ottoman days. 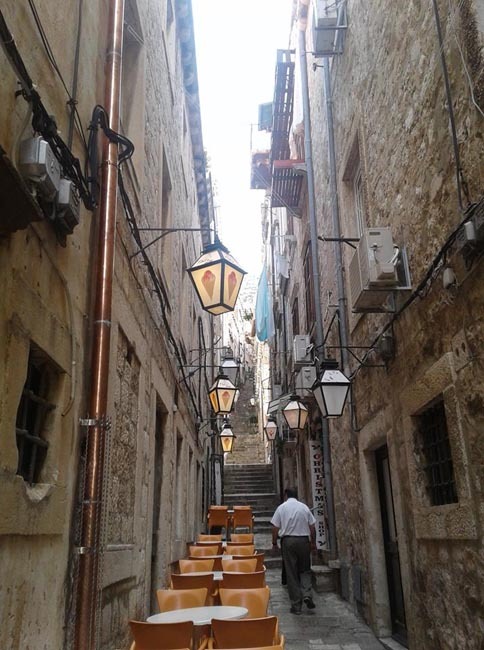 We will enjoy a walk around the town, starting at the Tekija Dervish House and visiting the 17th century Velagic house, a beautiful example of Ottoman stone masonry. In the vicinity are also old flourmills that the strong Buna River used to power. From here we proceed to Mostar. 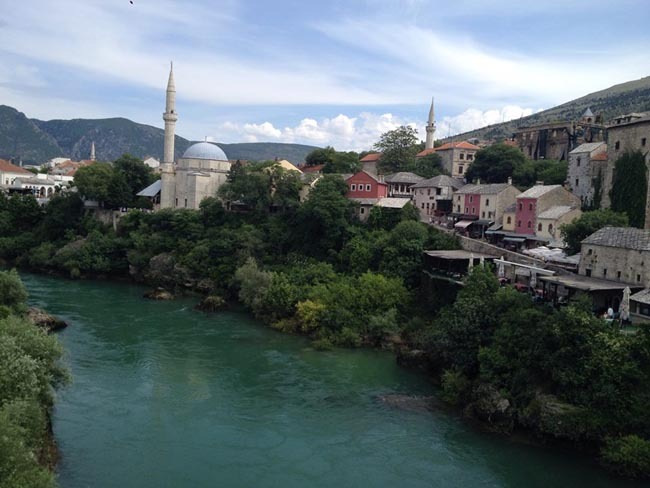 No visit of Bosnia & Herzegovina is complete without a visit to Mostar, a picturesque town more than 5 centuries old. This location was made famous by the old Turkish bridge that once was the only means uniting the city over the emerald waters of the Neretva River. The bridge always played a central role in lives of its inhabitants. The original bridge was wooden, built at the beginning of the 15th century, and it was a very important link of the two parts of Herzegovina, not only strategically but also in respect of trade linking the sea to the interior. Today we will enjoy a sightseeing tour of Mostar. 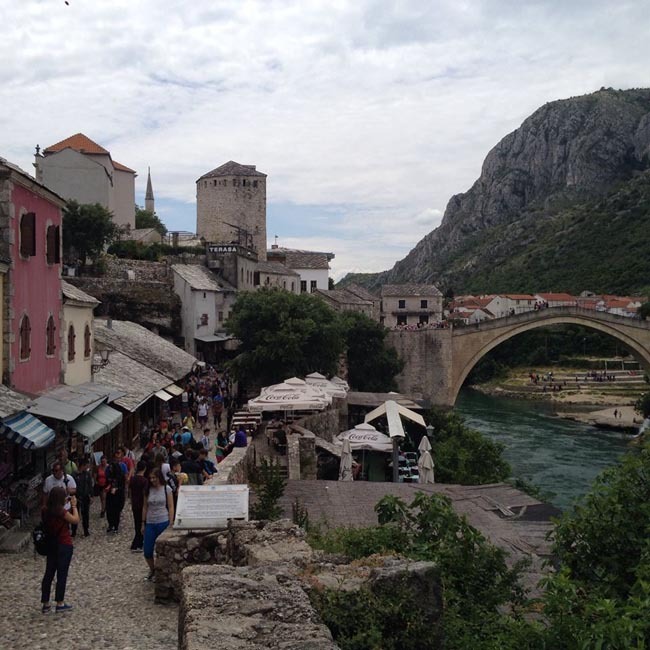 Mostar began as a small hamlet at a strategic crossing of the Neretva River. Its hinterlands consisted of a broad agricultural plain on the west bank and steep terraces on the east bank surrounded by barren mountains. A multi-ethnic and multi-cultural settlement, the city has possessed an independent political identity since the 12th century. This city will stun you with its beauty. The architecture is a precious combination of Turkish ingenuity plus Herzegovinian and Dalmatian workmanship. 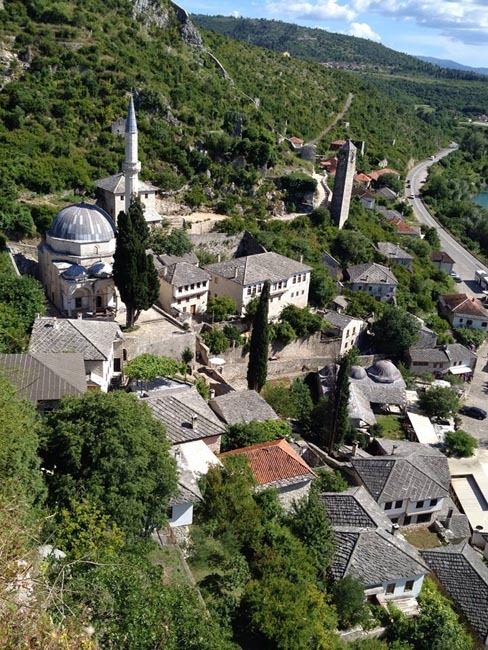 We will spend our time exploring Mostar, a warm and bustling place with a fascinating history. Our tour will include the historic oriental old town. The historic town of Mostar, spanning a deep valley of the Neretva Rive, developed in the 15th and 16th centuries as an Ottoman frontier town. Mostar has long been known for its old Turkish houses and the Old Bridge, Stari Most, after which it is named. Today, the reconstructed Old Bridge and Old City of Mostar are considered by some to be a symbol of reconciliation, international cooperation and the coexistence of diverse communities. In 2005 the Old Bridge Area of the Old City was declared a UNESCO World Heritage Site. Just north of the old bridge we will find the Koski Mehmed Pasa Mosque dating from 1618. Kriva Cuprija (the Crooked Bridge) crosses the Rabobolja creek and is a small stone one-arch bridge that closely resembles the Stari Most. We will walk down the busy old market bazaar street Kujundziluk with lots of tourist craft, art shops and street merchants. Karadzozbegova Mosque is the city’s most famous mosque dating from 1577. Turkish House or Biscevica corner, dating from 1635, is one of the most beautiful preserved residential structures from the Turkish period. There will be some free time later in the afternoon for you to enjoy walking through Mostar on your own. This morning we will travel to Sarajevo, our final destination on this tour. The drive between Mostar and Sarajevo provides us with some of the finest scenery on the entire tour. Snow-capped mountains, small farms, the gorgeous Neretva River, and giant haystacks. We then arrive in Sarajevo! This magical city with all its charm takes us instantly back to the Ottoman day as we visit beautiful Ottoman mosques, old quarters and the authentic Turkish "carsija", with its oriental sweets shops, cafes and traditional Bosnian food. Sarajevo is also a town in which for more then 400 years mosques, orthodox churches, roman-catholic churches and synagogues have been standing together. This afternoon we will start our sightseeing of Sarajevo, one of the most oriental and culturally diverse cities in Europe. Sarajevo spent over 300 years under Turkish governorship until the Austro-Hungarians arrived in the late nineteenth century. Fifty years later, the empire collapsed when Archduke Ferdinand was assassinated here, hastening the outbreak of the First World War. The late twentieth century saw Sarajevo host the Winter Olympics in 1984, and the long siege of the city during the recent conflict. Our tour of the major historical, cultural and war sites in the city will help you to piece together its complex and fascinating history. Sites that we will visit include: the old town, where we discover Sarajevo's medieval beginnings. Bascarsija (Old Sarajevo) is the heart and soul of Sarajevo today, and was once the center of trade and commerce during the Ottoman's lengthy rule. 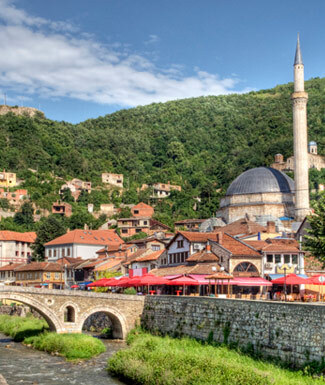 Walking through Bascarsija offers a glimpse into Ottoman Sarajevo. The building of this area started in 1462 and reached its culmination by the middle of 16th century. Bascarsija streets still bear the names dedicated to over 80 trades that operated here at its height. We will visit the Svrzo House (Svrzina Kuca), built in the 18th century and representing one of the most authentic examples of the way of life during Ottoman Sarajevo. This is probably one of the most beautifully preserved examples of unique and traditional Bosnian architecture. The Ghazi Husref-Bey Mosque is considered today to be one of the most important Islamic buildings in Bosnia. Tomorrow we will continue with the remainder of our Sarajevo sightseeing. Today we continue our exploration of Sarajevo. A 'must see' is the Latin Bridge, dating from 1798 and location of Archduke Ferdinand's assassination on June 28, 914. Other sights that we will see today include: the City Hall (Vijecnica) dating from 1896, and the Old Orthodox Church dating from the 16th century. The City Hall is a well-known symbol of Sarajevo and the most beautiful example of pseudo-Moorish architecture in the city. Later today we will drive out to see Sarajevo from above, as well as pay a visit to the famous Sarajevo War Tunnel. The tunnel provided the citizens of Sarajevo with a lifeline during Sarajevo's 1,400 days of isolation and was the only reliable way of supplying goods and electricity into Sarajevo. The balance of the day is free to explore on your own. You may want to enjoy the short walk up the Alifakovac Hill to visit the Alifakovac cemetery. Apart from a splendid view of the city, the Alifakovac cemetery is known for its Ottoman Turbe (or dome-like tombstones posted on four pillars.) This cemetery was a final resting place for the city’s most respected citizens during Ottoman times. 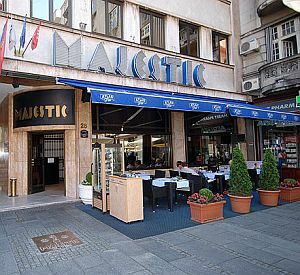 Hotel Majestic is a four star hotel located in the very heart of Belgrade. Hotel was built in 1936/37 in ...	traditional style. All rooms and apartments have bathrooms and are adjusted for the businessmen needs. They are equipped with nice stylistic furniture, direct telephone lines, cable TV, high speed Internet connections, air conditioner, mini-bar. 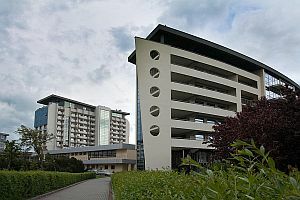 Located in the charming premier shopping and business district of Prishtina and set to amid the lushness of the "Mother ...	main road, Grand Hotel is an elegant modern-style sanctuary that will redefine the meaning of service in Kosova's capital. Breakfast daily and most dinners (mostly local restaurants). All transport, accommodation, sightseeing and entrance fees for sites noted as 'visited' in the detailed itinerary. Gratuities for local guides, drivers, restaurant staff, porters. Airport transfers for land & air customers arriving / departing on tour dates. This tour is offered in spring and the fall when temperatures are mild. 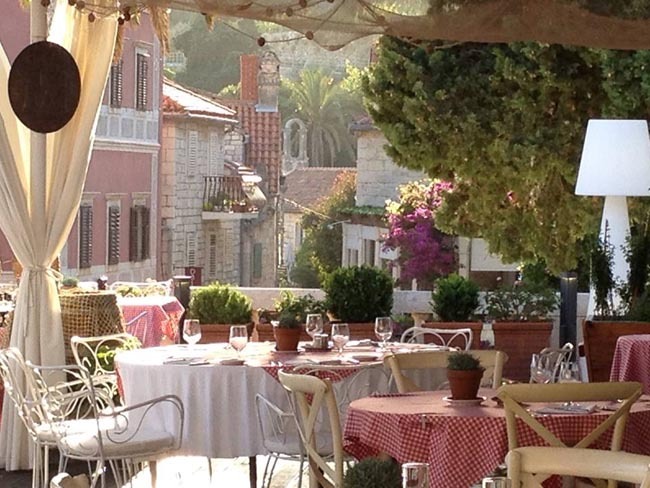 The region has a mild Mediterranean climate with autumns that are bright and warm into late October. Spring is warm and green. Transport throughout by private air-conditioned motor coach, 24-36 seats depending on ultimate group size (see 'group size'). Though we will have some full bus days, there are plenty of stops and beautiful scenery along the way. Walking tours on cobbled surfaces. Most roads are in good condition, though a little winding and slow on some stretches. Roads in Albania, Kosovo and Bosnia and Herzegovina are narrow, winding, and potholed in many places. Well-located, air-conditioned, mid-range hotels (3-star). 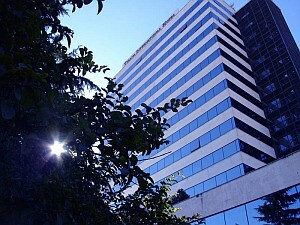 Some hotels are smaller properties (3-4 story) that may not have elevators. Some Albanian hotels are of a simpler standard. Al hotels have en suite bath, though some may have shower only. Porter service is usually available (see 'inclusions') though you should be independent with your luggage. Single rooms are limited and likely smaller than twins.